Whether you're a kid or a bee, sometimes you feel so mad, you buzz around looking for people to sting and trouble to make. 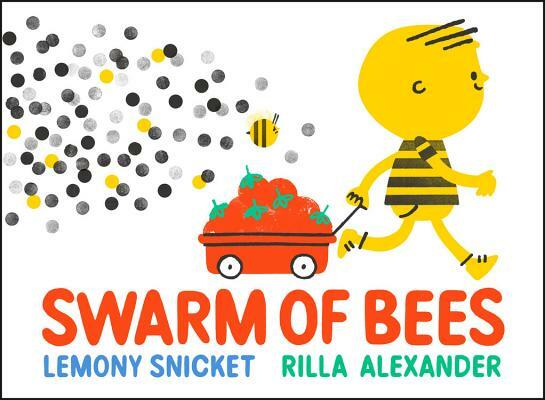 See how one boy, a swarm of bees, and a whole town can get riled up and then find a way to feel better through the comfort of unconditional love and community. Printed in a brilliant palette of primary colors, brimming with beautiful dots and stripes, Rilla Alexander's art sings. Not since David Shannon's No, David! have readers been given the pleasure of witnessing such uproariously terrible behavior, unbridled emotion, and ultimately, such comfort. Lemony Snicket is the author of the thirteen volumes in A Series of Unfortunate Events; several picture books, including the New York Times bestseller The Dark; and the books collectively titled All the Wrong Questions. Rilla Alexander is a designer, illustrator, and picture book maker whose work has appeared on everything from toys and tea cups to busses and buildings. Some of her books include The Best Book in the World!, Her Idea, and Jane Yolen's A Bear Sat on My Porch Today. "Mischief-makers will be captivated by its humor and promise of unconditional love and forgiveness.... A witty, thought-provoking triumph."